I am trying to render a kitchen that has a few pendant lights over the island but every time I do the lampshade, that is supposed to be frosted glass and translucent is coming out metallic and opaque. I have gone through the settings a couple of times and make adjustments to things that I think should change it but I am not getting the wanted result. 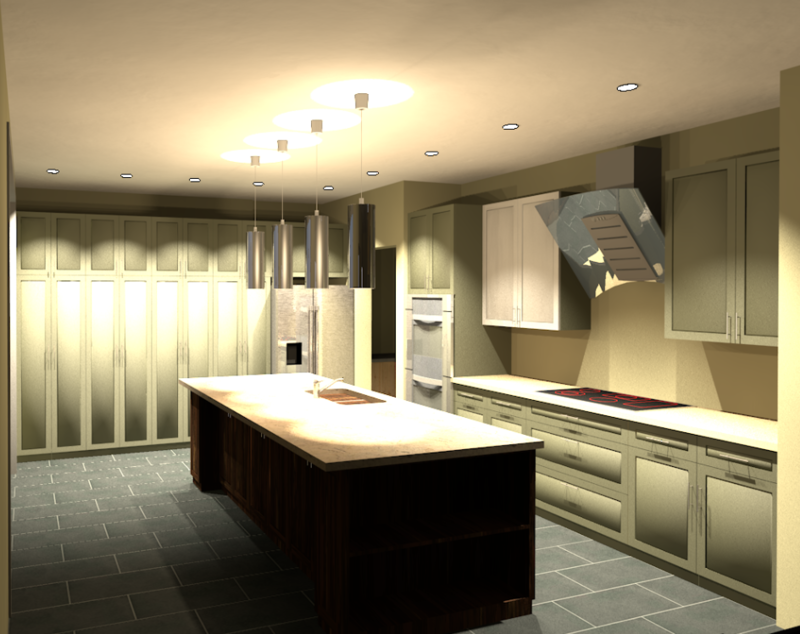 I have attached a copy of the render output and an example of the pendant lights I am trying to emulate. this is just a hunch but your lamps might still have the "overwrite" material on, which needs to be off for the other surfaces to work, see markup. Maybe your raydepth is too low or transparency is turned off.